The Perception System is a generic, configurable data processing solution enabling the industrial use of hyperspectral cameras for high speed tasks like sorting in many industries like food processing, recycling, mining, pharmaceuticals and many more. By adapting a hyperspectral camera with a Perception System, Chemical Colour Imaging turns the camera system into an easy-to-understand and intuitive configurable “chemical colour camera”. The chemical colours reflect the molecular properties of the scanned objects. Machine vision technology has gone through a constant development process over the past decades. Starting with monochrome cameras, which use differences in contrast for defect detection, imaging technology has advanced to increasingly precise colour cameras revealing even the smallest colour deviation. 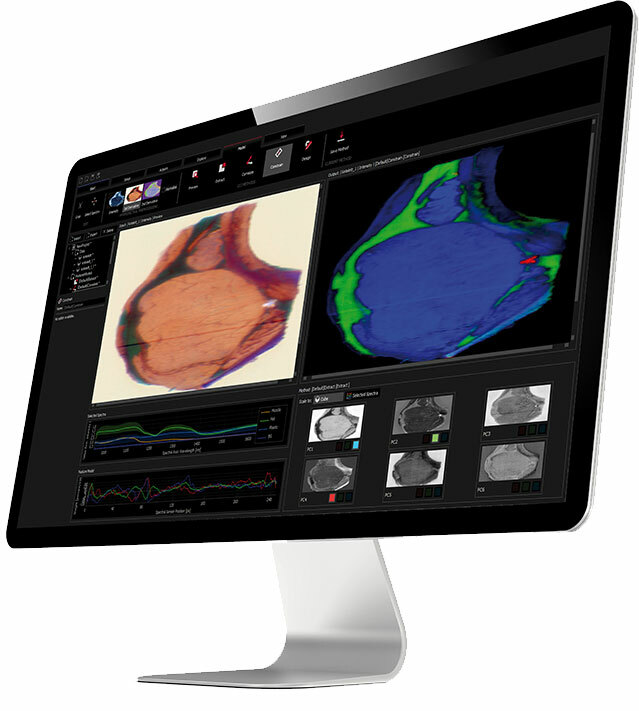 After colour imaging and the subsequent 3D imaging, Chemical Colour Imaging (CCI) takes this technological evolution to the next level. The software technology makes complex hyperspectral data on a molecular level usable for machine vision. The Perception System transforms sensor raw signals into corrected, standardised hyperspectral cube data allowing the intermediate operation of your hyperspectral system. Due our solutions can be intuitively configured for endless applications, the Perception System saves you time and money for the development expertise. No need for consulting experts allows to develop your own know-how and to protect it. One data processing for various hyperspectral cameras. A system that meets the requirements of modern industrial manufacturing. Thanks to our many years of experience as a partner of renowned companies in the industrial field we completely understand our customers´ requirements. Our Perception System use proven standard interfaces such as GigE Vision and CameraLink. You are supplied with a system that meets the requirements of modern industrial manufacturing. Thanks to standardised communication protocols your system quickly and simply integrates into an existing application. Our configurable platform saves costs for designing a complex processing architecture which has so far been required for hyperspectral imaging. Based on a plugin concept our solutions are unlimited expandable. This allows to add new methodology, processes and interfaces rapidly. Doing so you have only one interface for all your processes and instruments. The Perception System is controlled with our intuitive Perception Studio. 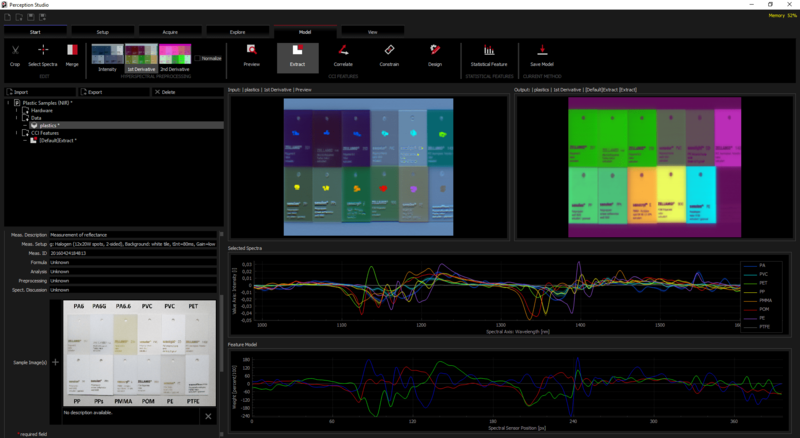 The Perception Studio provides encapsulated scientific methods of hyperspectral analysis intuitively accessible to everyone. The machine vision community is now enabled to develop and configure own applications independently. 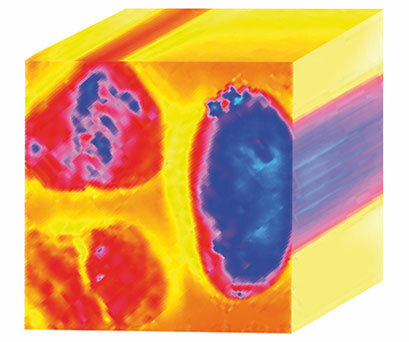 Chemical Colour Imaging represents a new processing technology, which combines essential advantages of the basic technologies of hyperspectral imaging and colour imaging. It makes chemical material properties accessible for the machine vision applications. A dramatic simplification in handling, as well as the opportunity for real-time processing of highly complex hyperspectral camera data, are the key for the extensive industrial use of hyperspectral cameras. The abstraction of highly complex spectral information through chemical features represented by colour and monochrome images, makes handling of hyperspectral cameras on a deep level accessible and interpretable. The Perception System provides encapsulated scientific methods of hyperspectral analysis intuitively accessible to everyone. 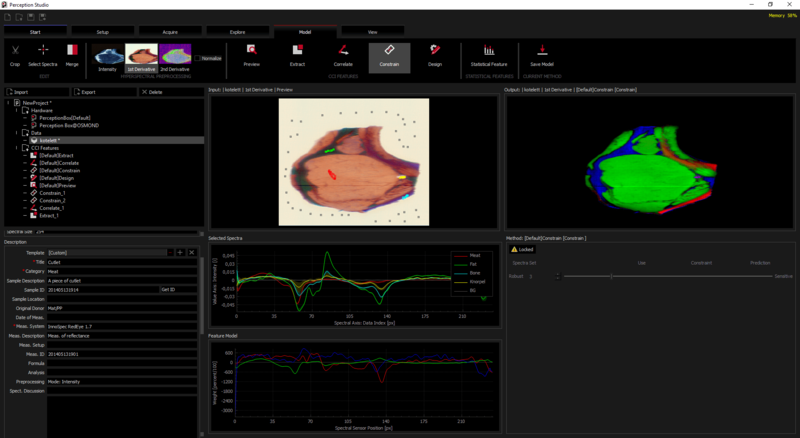 The machine vision community is now enabled to develop and configure own applications independently, without consulting experts of chemometrics or spectroscopy. Market and customer know-how of the user remain in-house and own market positions are solidified and expanded. By standard interfaces like GigE Vision or CameraLink the user can independently choose the best camera from any supplier. CCI information can be processed by any vision system. Thus, a hyperspectral camera may be integrated into already existent solutions like sorting machines that already uses colour or monochrome cameras. 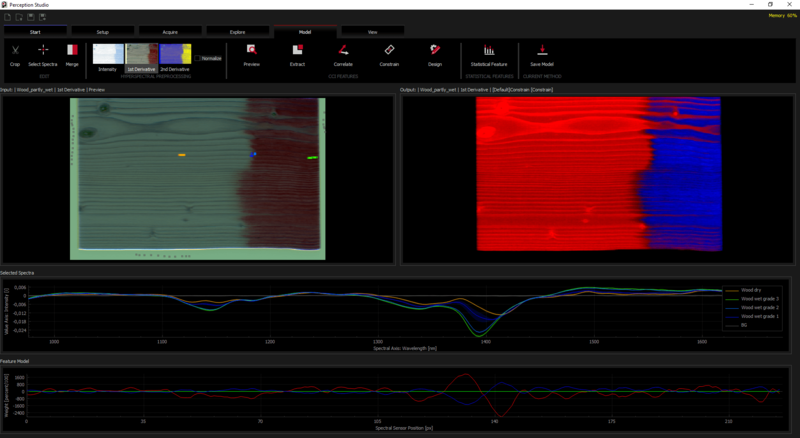 Perception Studio - Software suite for hyperspectral data acquisition, exploration and modelling. Perception System - Real-time processing engine for the industrial application of hyperspectral cameras. 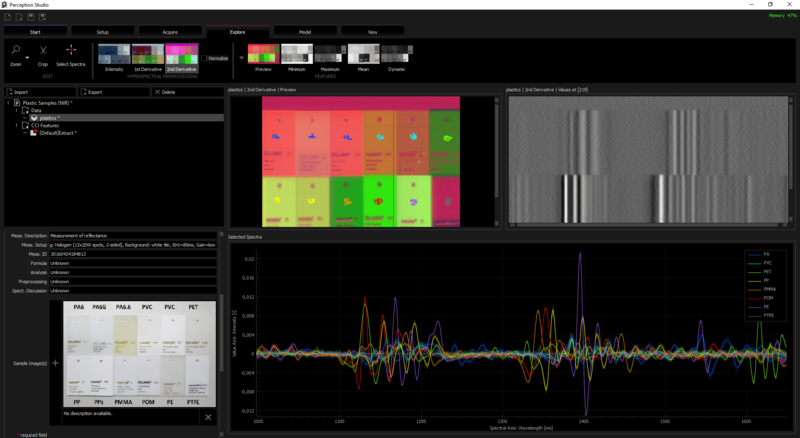 The Perception STUDIO demo presents a typical set of plugins to investigate data.